Recently, I've had many people I know and am working with in my business, Rotary, and elsewhere, have experiences where they're dealing with ailing parents or with health complications themselves. I don't mean minor visits to the local clinic either but rather serious issues like cancer, mental health, neurodegenerative diseases, and a host of other far reaching challenges to them and their families. Because of those messages arriving simultaneously in my life I thought I'd share more depth on the experiences I've had with my father, mother, and mother-in-law and their experiences in healthcare system and some of it may be useful to others out there. These Transitions in our lives can come slowly or literally overnight. There is a tremendous amount of hardship and potential catastrophes that could be avoided with a little knowledge and preparation. Healthcare advocacy is a critical need and necessary in this day in age for any long term health related issues and for which you are receiving long term care within our healthcare system. Consider this as necessary as a quality healthcare provider, comprehensive insurance, and a well rounded healthy lifestyle. In my experience, you MUST have a health advocate component as part of your care. 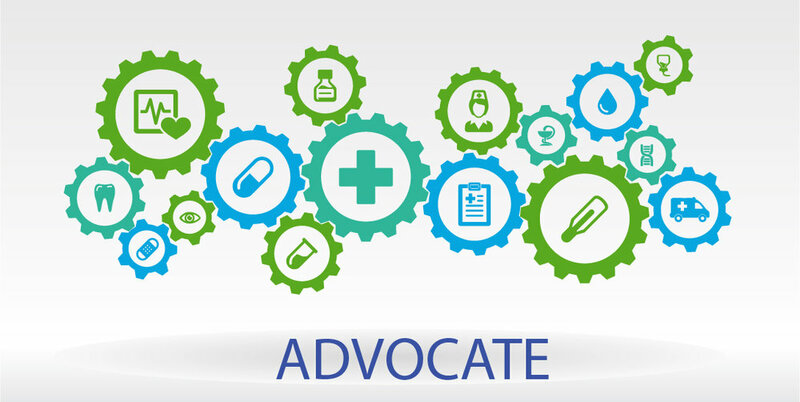 Advocacy means that you have someone or a group of people (other than yourself) who are active, continuously present, and maintain your best interests while you are receiving care in the healthcare system. An Advocate is that person or small group of individuals who are present for all major communications, decisions, transitions, and events during your care. This Advocate is often a spouse, child, close friend but there is a growing profession of this sort as well. The emotional investment from these kinds of relationships and a part of a patients care often provides the energy and grit to effectively perform as an advocate, if channeled in a healthy way. Judgement and opinions aside and putting on my Industrial and Systems Engineering hat for a moment, the healthcare system in the United States is a complicated set of interacting interests, actors, processes, information, equipment and materials, methods/tools/techniques, with the core focus being the wellbeing, treatment, and care of those stricken with a physical or mental ailment of some kind. The complexity of these systems is vast and because of that, the transitions, hand-offs, "touches of information" and other opportunities for error and failure abound. The healthcare system and the care providers ALL have at their core the Hippocratic Oath and most of all "First Do No Harm". However, as an increasingly complex and evolving system, this gets ever more complicated and challenging to fulfill flawlessly. This is especially true when the patient needs to be an active participant in their care and in many cases, is physically or mentally compromised and so is unable to do it with maximum efficacy (fatigue at a minimum, full incapacitation at the other extreme). Because of the nature of the large institutional actors (government, insurance providers, healthcare providers, pharmaceutical companies, etc.) as well as at the individual level amongst administrators, doctors, nurses, assistants, and others, these interactions can sometimes (and more than should be tolerated!) result in minor as well as potentially major errors and gaps in care. An Advocate is one of your best chances to ensure maximum effective treatment for yourself or your loved ones. Errors will happen. Expect them, prepare as best as possible, mitigate accordingly, and keep detailed records. Our healthcare system is amazing and the people in it do a great job. However, an Advocate can really push the system to a higher level of excellence as an active participant by creating a concentrated and continuity of care that I haven't been able to see provided in many of the settings I've experienced. I've been through several assisted living and nursing homes for my father, several hospitals for my mother-in-law and mother, as well as a variety of institutions for ourselves, in particular the birth of our 2 children. ALL of them had great care but had several errors in care that if not caught would have caused at a minimum a headache of lost time, money and effort but several could of resulted in SERIOUS complications (I won't go so far as to speculate further). What can you do? Partner with your providers, ask questions and stay informed (it's never too much when life is in the balance), periodically request print outs of the health records, shift hand off communications, etc. so you stay fully apprised of the situation. Keep records or a journal of your own if you must and if that's too much to do in the moment, carry a tape recorder (many smart phones have this ability) and when in use make sure to let everyone know that you're doing it (there are potential legal ramifications is my thinking here, so full disclosure there!) but that you need it to keep up with the information flow. Many of these circumstances have a stream of information and changes to treatment (equipment used, medications administered, etc.) and you need to stay on top of them. I can't repeat it enough that the care providers act as the system has crafted them to do so and many go above and beyond what's asked of them, and I appreciate that fully, however, take your loved ones future into your hands by assisting with these transfers of information and changes in treatment. This can't be stressed enough. The transfer of information across shift changes, visiting doctors, and even between hospitals are critical potential failure points. With my mother-in-law in particular, her care required administering significantly above normal quantities of Potassium. This was questioned by EVERY actor in her care and was often changed to what the next person in line considered "normal" without person to person, decision changing mechanisms. Several times this resulted in significant complications in her care. Eventually after stabilizing at a particular hospital this recurring issue subsided but it was a MASSIVE gap in quality care. Her 2nd husband and my step-father-in-law as well as my wife were CRITICAL as Advocates to maintain continuity of her treatment in this particular facet of her care. It's an Imperfect Science and System, so gather the best information you can, as quickly as you can. Do not assume the system is flawless or that there is always 100% certainty for diagnosis and treatment. This doesn't mean "play doctor" but it does mean when critical decisions are made (diagnosis, treatment plans) and large risks (like side-effects, eliminating alternative treatment options, etc.) are in play, be an active participant as an Advocate and seek several information sources with the MAXIMUM believability (read Ray Dalio's Principles for what that is) you can and share that openly amongst the MOST believable so that costs/benefits/believability can be weighted accordingly in your decisions. The more informed experts you have weigh in, the more reliable the outcomes will be. Triangulate Diagnosis, Prognosis, and Transition Decisions. This basically means don't just get 2 opinions at the start, get 4-5, especially if it appears to be ambiguous or vague in the certainty of diagnosis and treatment. Everyone's experienced this to one degree or another but its VERY important to get several EXPERTS to weigh in on your situation. This will maximize the information for yourselves but also creates a common field of information that all providers understand has been put into play. Basically, the more they are aware that you've sought and have multiple opinions and information the more they will do their best to step up to the plate and maximize their benefit to your needs. Understand Human Biases and Choice Making. There are numerous biases humans have that can distort their decision making abilities, this goes for you as an Advocate, the patient in care, as well as the professionals caring for them. These are innate biases that have enabled significant evolutionary progress for us as a species but they can significantly impact effective care. Things like sunk cost fallacy, end-peak recall, and more. A few books to read are Thinking Fast and Slow by Daniel Kahneman and The Paradox of Choice by Barry Schwartz are highly informative. As an offset to these tendencies and to reduce your decision making and processing fatigue as an Advocate, develop detailed checklists for necessary care, common questions you need to ask often, etc.. A good resource for that is the Checklist Manifesto by Atul Gawande. Get your estate in order in a comprehensive way. Things happen but at a minimum, make sure you have 2-3 backups for Medical Powers of Attorney who are trusted people willing to participate actively as THE Advocate or at least in close partnership with whomever steps up for the role. This is critical and I can't stress this enough. Getting your estate documents developed with a qualified Financial Advisor or Attorney will not only inform you and prepare your estate for freak events but also position the legalities involved with long term care to be administered as smoothly as possible. Our experience of having to shuffle together my mother-in-laws estate documents while she was in the hospital had negative consequences nobody even considered at the time given everyone was not able to deliberate and ask questions in a clear minded state. To back out of some of the legal structures set up in an estate transfer sometimes involves a lot of money, time, and government institution involvement that is a headache and could have been avoided. Also, should you have to get government assistance for long term care of a loved one, as a spouse or child, you should have the best advice possible to structure your assets and estate prior to engaging in the process for government support. Do your estate planning now and share with those you have involved! Get informed and practiced in Self-Care in preparation for being an Advocate. While effective self-care capabilities are a good thing in general to understand and practice, it is even MORE critical as an Advocate. I'm talking things as simple as tools and methods for hygiene care in a hospital as a non-patient (no rinse solutions, wipes, teeth brushing, deodorants, etc. ), to sleep techniques and products (earplugs, blindfold, travel blankets, blow up pillow, noise canceling earphones, etc.) all the way up to mental health maintenance methods like mindfulness in general and meditation as an applied technique. There are several courses offered out there, some of which are provided by Zen Hospice Project and other quality institutions. John, my step-father-in-law, stayed at my mother-in-laws side about 6 days a week, around the clock, and on the 7th day Michelle, my wife, would stay at the hospital to give John some respite and time to do laundry, recoup as much as possible, take care of other needs, etc.. This was continuous for about 4 months. This became a critical component of Sharon's care during her battle with a rare adrenal cancer and had they not actively participated as Advocates, her story would have been much different. While she ended up passing away due to her illness, her quality of care was maximized by the partnership John and Michelle had with the hospital staff on a regular basis. Understand the standard of care in your situation. Know what the standard of care is for your unique situation. This helps in quality of care but also, should the unimaginable go wrong, you fully understand the circumstances and your rights as a next of kin or Medical Power of Attorney representative. You may not agree with the standard practices in the system but ignorance is no bliss in these situations so make sure you know how the process and treatment SHOULD be unfolding so that you know when to trigger action, questions, and even escalation to authority figures for further reviews (like higher level doctors or administrators). In the nursing homes my father was in, while quality facilities with good meaning people, my observation was that the standard of care MUST be higher in many cases like resident hygiene, response times for resident needs, etc. and so as often as I could I would actively partner with them to raise the level of care for my father. It's a tough system to work in and so I learned at an early age to develop relationships and partner well as an active advocate in the 5+ years my dad was in the long term care system. Get informed on alternative treatments. I'm not talking about New Age types of care here, I'm talking about clinical trials and studies being conducted, what stages they are in, who's individually and organizationally conducting them, and how to get access to them. You can often find them and participate if you get informed yourself and ask for support from your healthcare providers to do so. Look into early stage trials for treatments as well that show promise. This isn't the first choice but if everything else fails and death is the alternative (or long term, debilitating ailments) it's important to exercise all options effectively. There are also many "non-system" derived treatments like extreme diets, specific nutritional and supplemental treatments, etc. that you just don't find as the "standard" of care in our mainstream healthcare system. I fully support utilizing other well studied and proven methods that aren't typically pharma or big money derived treatments. There are many out there we wished we have known about for all of the major trials we've been through. If you'd like to know specifics about them, contact me directly via my Contact page or email me. I could probably say a great deal more about Healthcare Advocacy and perhaps someday I'll write more. I hope this posting has provided you with some useful and novel approaches to this critical role in you or your loved ones care. What have your experiences been? Any tools, tactics, or methods you've found to be effective? Other questions for me? Comment below!